Anyone who knows me knows how much I love glitter nail polish!!! I am absolutely obsessed and literally wear it all the time. It is so girly and fun and I cannot get enough. There are so many different colors ranging from light pink, to gold and silver. I get so many compliments on my glitter nails. Just looking down at them throughout the day makes me so happy. What do you think of glitter nails? Let me know and happy reading. 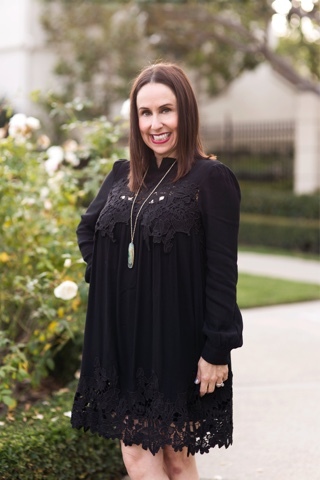 You can click on the pictures to shop some of my favorites!!! Have you ever wanted to try a trend but were too worried to take the plunge? I love rompers and have worn them before, but I do think, "Can I really pull off this look?". I had to follow my own advice and step outside of my fashion comfort zone and give it a try, and I'm so glad I did!!! 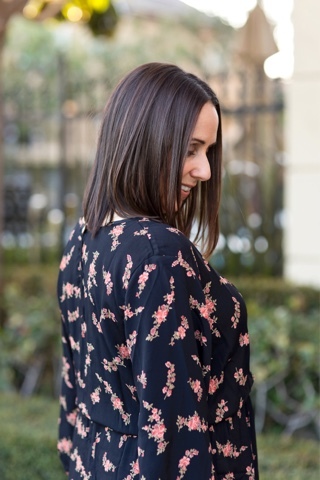 When it comes to this Stevie Sister romper, from Modern Romance (one of my faves) I have to say I am in love. I love the fabric, fit, length and colors. It is my favorite romper. 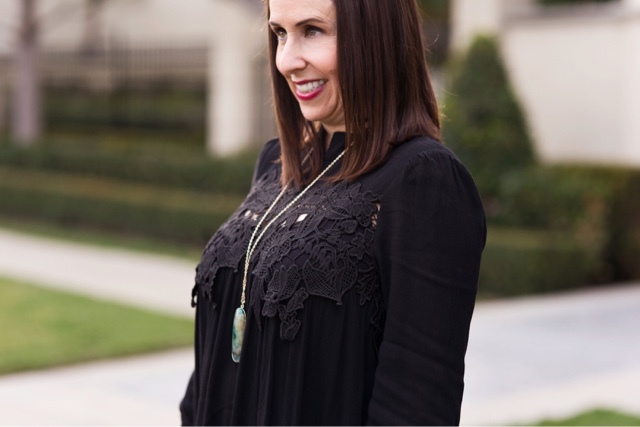 I paired this romper with these adorable Coconuts by Matisse fringed booties (how amazing are these), and my Kendra Scott Necklace and I was ready to conquer my day (and bring it into night). I wore this outfit to dinner at El Ranchito (a local favorite Mexican place) with my family and some friends. So if you are on the hunt for the perfect romper I think this may be the one. 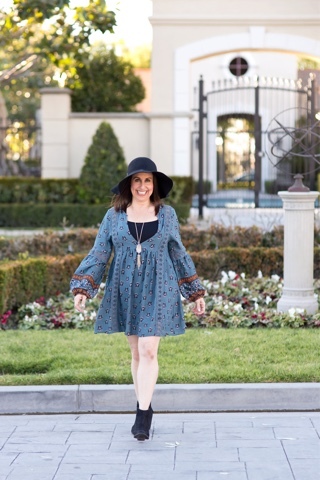 Check out Modern Romance and Stevie Sister for this romper and my adorable booties. What do you think of rompers? I would love to hear. Thanks to Gabi Wells for photos and happy reading!!!! 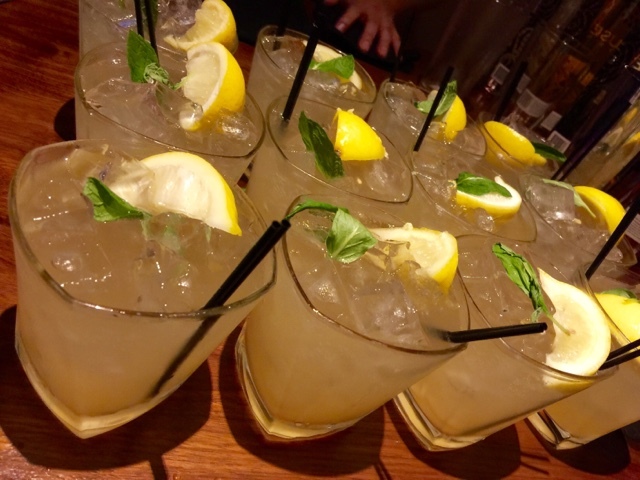 I just attended the most fun event at Del Frisco's Grille at the Irvine Spectrum. 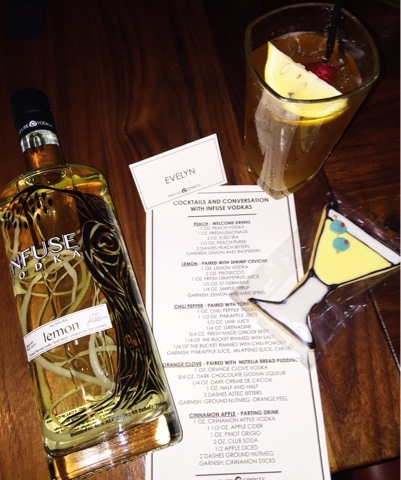 It was a cocktail pairing hosted by my good friend Alyssa from Living in Style OC and Infuse Vodkas. 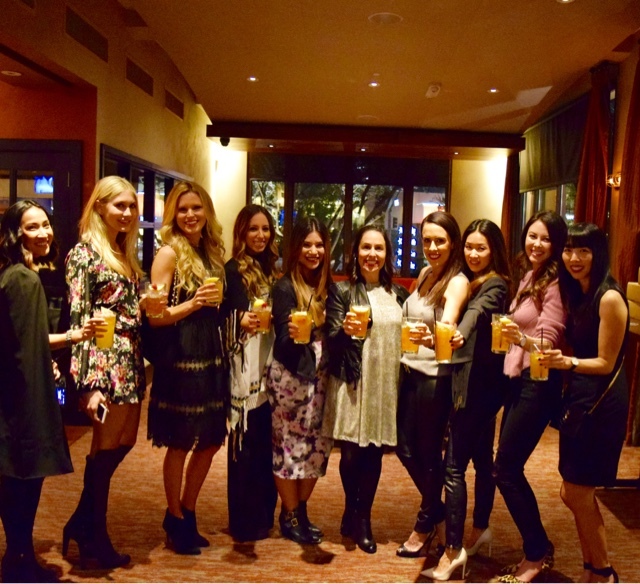 I was lucky enough to spend the evening sipping these amazing drinks, eating delicious food while hanging out with the most wonderful blogger babes. What a perfect evening. Think wine tasting, but with different vodka drinks. 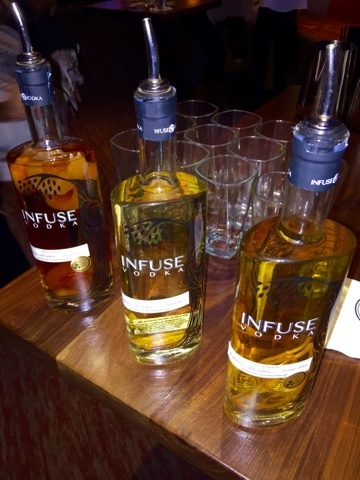 I loved the creations made with Infuse Vodka. Each drink was paired with a different course of our meal. We started with a peach welcome drink, then moved into a lemon drink paired with shrimp ceviche, followed by a chili pepper drink (which was a my favorite) paired with pork belly tacos. Dessert was an orange clove drink paired with Nutella Bread Pudding (yummy), and an after dinner parting cinnamon apple drink (my other favorite). This was such a creative culinary evening that mixed delicious food and drinks and wonderful company. Thanks to much Alyssa and Infuse Vodka. I had the best time. 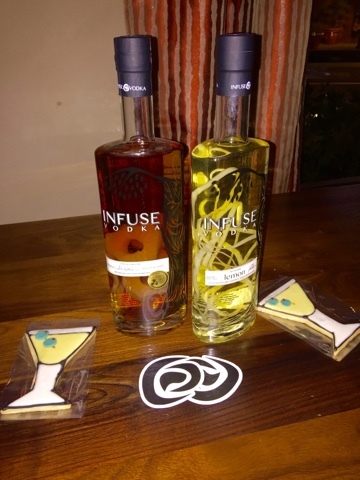 I highly recommend you check out Infuse Vodkas and try creating some of these drinks at home. Happy reading!!!!! 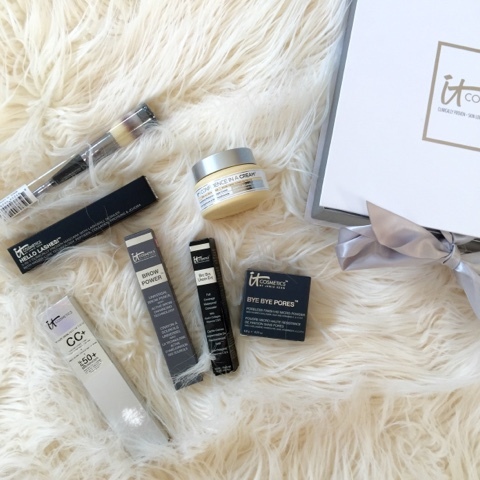 I just received this amazing box of products from IT Cosmetics. They sent me their Top 5 IT Bestsellers and Confidence in a Cream. I have watched the IT Cosmetics infomercial (which by the way is so good), and have been told by my girlfriends how much they love these products. So when IT Cosmetics approached me, I was so excited to try these products out. Confidence in a Cream-- This moisturizing cream is incredible. It made my skin feel soft and smooth. It also made my skin look healthier. I will absolutely continue to use it. CC+ Cream with SPF 50+-- I have been wanting to try this product for a while. I'm always looking for the perfect daily coverage that is just not too heavy. I used it in the medium shade. What I loved most was that it provided good coverage and gave my skin that dewey look, while giving me an SPF of 50+. Bye Bye Under Eye-- This concealer is absolutely amazing. It provided the best coverage without leaving creases. I loved this!!! Bye Bye Pores-- This product was the perfect translucent shade that matches all skin tones. I applied it with the jumbo powder brush. Brow Powder-- As I get older, I realize that having a finished set of brows is such an important part of my makeup routine. It really makes a big difference. This universal shade was great for me and matched my brows perfectly. Hello Lashes-- This mascara has two advantages. It gave my lashes an increase of volume and an increase in length, all in one tube. So I must say that I am a huge fan of IT Cosmetics. I highly recommend that you try some of these products listed above. I think you will love them as much as I do!!! Happy reading!!! I love a good boho chic look. 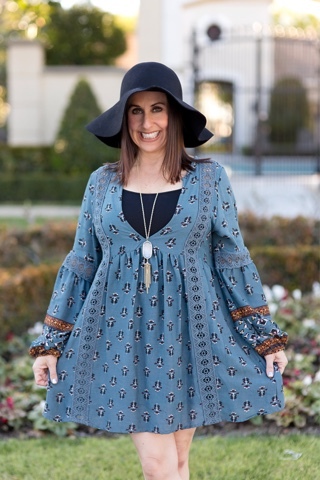 Boho chic is a style that includes flowy clothing, and vintage and ethnic inspired accessories. 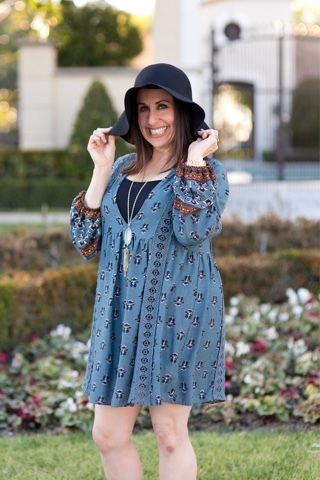 How cute is this boho style dress from one of my favorite boutiques Vici? This dress is so casual and effortless. I also love that it is comfortable and flowy. I decided to pair it with an adorable felt hat, Nordstrom black booties and my Kendra Scott necklace. I wore it out over the weekend for lunch with my family!!! 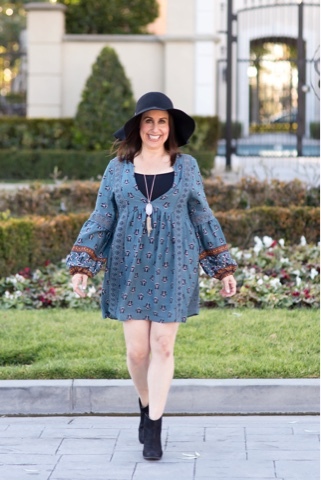 What do you think of the boho trend? Let me know in the comments section. I hope you had a great Valentine's weekend. 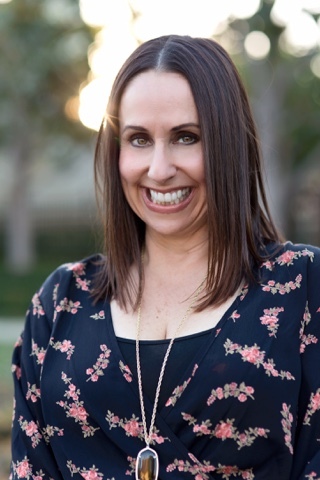 Thanks to Gabi Wells for photos and happy reading!!!! You can shop my look by clicking on the pictures below.